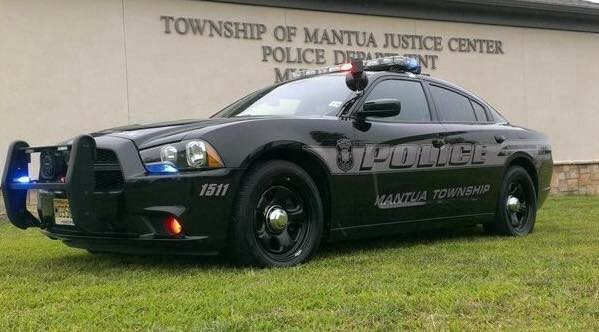 The following are on file at the Mantua Township Police Department. Officers responded to a traffic signal that was not functioning properly at the intersection of Harrison Avenue and Berkley Road. County Highway was advised to respond to fix since this continually happens in the morning. Patrol responded to a crash on Glassboro Road in the area of Center Street. Two vehicles needed to be towed from the scene. Officers responded to a report of a house fire on Main Street. The fire department found a slight smoke condition and remedied it. Units responded to a crash on Mantua Boulevard near Florida Avenue. Officers received a report of a 10-year-old that had not returned home from school, but was quickly located. Units located a vehicle parked on the side of the road and learned it was a domestic dispute that had just occurred. The driver attempted to physically remove the passenger from the vehicle. BJ Hauss conducted a motor vehicle stop and arrested an occupant for an outstanding warrant. He was processed and turned over to the Woodbury Police Department. Officers responded to a domestic dispute between a husband and wife in which the husband took the wife’s cell phone forcibly. Units responded to a report of smoke in the area of Pitman Golf Course. It turned out to be a controlled burn near by. Officers responded to a crash on Mantua Boulevard at Center Street in which two vehicles needed to be towed and there were minor injuries reported. Units responded to a crash in the area of the Telford Inn. Officers responded to assist Rowan University Police with a demonstration. Officers assisted a motorist at the Petsmart that had locked their keys in their vehicle. Officers assisted Clayton Police Department with a subject that had barricaded himself inside their house. Units responded to a domestic dispute between a mother and her adult daughter. The daughter fled before we arrived because she had active warrants for her arrest. Units responded to a hit-and-run crash in which a vehicle struck a tree, causing the tree to fall onto a homeowner’s vehicle. Officers assisted a motorist at the Wawa who had locked their keys in their vehicle. Officers responded for a subject who was not wanted at a house as he just got out of jail a few days prior. Layton conducted a car stop and arrested an occupant for possession of drugs. They were processed and released. Units responded to a domestic dispute when their adult son came home intoxicated. Officers responded to a hit-and-run crash in which a vehicle struck a concrete support at the Rite Aid on Route 45. Patrols responded to an assault that had occurred at the Super Wawa between estranged relatives. Officers supervised community service workers who cleaned up litter on Barnsboro Road. Officers responded to a subject that had overdosed and CPR was in progress. Narcan was issued and the subject awoke and was transported to the hospital. Units responded to a party in Wenonah in which there was a report of juveniles standing on vehicles. Crispin conducted a motor vehicle stop and arrested an occupant for outstanding warrants for not paying their child support. He was turned over to the county jail. Officers supervised community service workers who cleaned up litter on Jackson Road. Units responded to a report of a minor crash in the Lowe’s shopping center. Officers arrested a subject for violating a restraining order during a child custody exchange at police headquarters. Layton arrested a subject on outstanding warrants. She posted bail and was released. Layton also conducted a motor vehicle stop and arrested an occupant for outstanding warrants from Camden City. She also posted bail and was released. Officers responded to a residence for a report of subjects unlawfully staying there. Officers responded to Spectrum Tire for a customer that reported he paid the business, however, no work was done. Units took a theft report for a chainsaw that was stolen by the victim’s employee. Patrols responded to a solicitation complaint in Centre City. Officers located the subject and he was found to have a permit. Officers responded to a crash on Glassboro Road in the area of Lambs Road. Officers were sent to look for a subject who was stumbling in the roadway. Officers were not able to find him when they arrived in the area. Officers responded to a shoplifting from the Sally Beauty Supply store. Officers conducted foot patrol in Chestnut Branch Park in the evening hours. Krieger conducted a motor vehicle stop and arrested an occupant for an outstanding warrant. He was processed and released. Officers responded to a violation of a restraining order. The subject was arrested and also charged with terroristic threats for statements that were made during the arrest. Officers responded to a domestic assault in Wenonah in which a boyfriend had struck his girlfriend several times in the chest and head. She was transported to the hospital for treatment and he was arrested. Mroz and his K-9 partner, Zuke, responded to Clearview High School to help inspect students’ luggage before their senior trip. Officers took a theft report for a purse that was stolen from inside a vehicle at the Heritage store. Sgt. Herner was able to identify the vehicle, subject and located the purse still with all of its belongings. Patrols took a theft report for belongings that were stolen from inside an unlocked vehicle overnight. Officers investigated a subject who was located on the Route 55 overpass holding a long object. It was found to be a camera tripod and the student was working on a school project. Patrols responded to a residence in which the family dog dug up a container with a bloodied blanket in it. Investigation found it to be a long-deceased cat. Officers conducted foot patrols in Chestnut Branch Park during the evening hours. Crispin conducted a motor vehicle stop and arrested an occupant for outstanding warrants. He was processed and released. Krieger conducted a motor vehicle stop and arrested an occupant for outstanding warrants. She was processed and released. Officers located a subject who was stumbling in the roadway. She was transported to the hospital for treatment. Units responded to a crash on Route 45 by Mt. Royal Road. Officers took a fraud report in which a victim stated her wallet was stolen almost a year ago and she now has fraudulent charges on her credit card. Officers assisted a motorist that had locked their keys inside their vehicle at the Timberline Shopping Center. Units responded to a minor crash on Glassboro Road in the area of the old Sony building. Patrols responded to a crash on Glassboro Road near the Pitman border. BJ Hauss conducted a motor vehicle stop and arrested an occupant for outstanding warrants. She was processed and released.